Rongotai College recognises the role of sport and co-curricular activities in providing students with valuable learning experiences outside of the classroom. The College has a proud history of involvement in sport but all students should remember our number one priority is education. It is expected that all players will meet their academic requirements in all classes and maintain a high level of attendance. The Sports Department has a full time director whose role is to oversee all sports activities at the college, encourage students to be involved, promote new sports and physical activities and observe the “Fair Play” charter. Rongotai has a strong tradition of achievement in many sporting codes and is proud of its many provincial and national representatives, such as All Whites (Wynton Rufer, Shane Rufer, Billy Harris and Chris Killen), All Blacks (Graham Williams, Mick Williment, Clive Currie, Ofisa Junior Tonu’u, Ma’a Nonu, Julian Savea and Ardie Savea), Tall Blacks (Chris Tupu and Troy McLean), NZ Rugby League (Sione Faumuina), Black Sticks (Mitesh Patel) and Black Caps (Ian Smith, Bruce Edgar and Jeetan Patel). Rongotai College plays traditional annual matches in a number of different codes against the following rival colleges: Wellington College, St Patrick’s College (Town), St Patrick’s College (Silverstream), St Bernards College, Tu Toa, Wairarapa College and Nelson College. Rongotai College has a proud history of competing on the national and local stage in a wide range of codes. 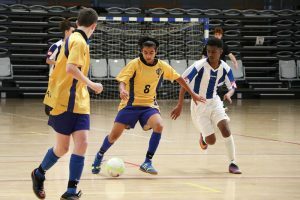 The College offers over 30 sporting codes however whether these sports are delivered depends on playing numbers and adult management. We encourage all students to be involved in at least one sport per season and aim to provide opportunities for the elite competitor to the beginner. Athletics, Badminton, Basketball, Bowls, Canoe Polo, Cricket, Cross Country, Cycling, Dragon Boating, Floorball, Football, Futsal, Golf, Hockey, Mountain Biking, Orienteering, Rugby Union, Rugby League, Small Bore Rifle Shooting, Softball, Swimming, Squash, Table Tennis, Tennis, Touch Rugby, Tramping, Ultimate Frisbee, Underwater Hockey, Volleyball, Waka Ama, Water Polo, Yachting. Competitions for these activities are mainly organised through College Sport Wellington (www.collegesport.org.nz) or local sports associations who organise secondary school sporting events. Phone: (04) 939 3050 ext 738.